The governor of Guam said Saturday that he spoke with President Donald Trump amid heightened tensions between the United States and North Korea, and was assured that the people of the U.S. territory in the western Pacific are safe. 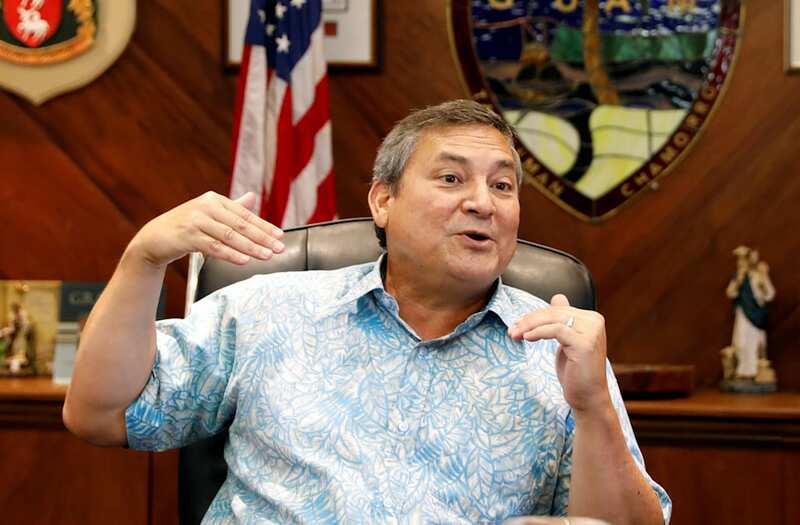 "This isn't the first time that we've had threats lobbed against our island, but this time, knowing that we have a president and a White House and a military that is watching out for us gives me a great deal of comfort," Guam Gov. Eddie Baza Calvo said in a video message posted to Facebook Saturday afternoon local time. Calvo said he was called by White House chief of staff John Kelly and Trump Saturday morning local time and "both assured me that the people of Guam are safe." North Korea threatened to fire missiles near Guam amid a war of words between the isolated regime and U.S. President Donald Trump over North Korea's recent intercontinental ballistic missile tests, which experts say suggest that a missile could reach the West Coast of the United States and a number of major U.S. cities. Trump this week said North Korea "will be met with fire, fury and frankly powerthe likes of which this world has never seen before" if it threatens the United States. Trump made the remarks after reports of an intelligence assessment that North Korea had developed a nuclear weapon small enough to fit on a missile, a significant milestone in its weapons program. Trump on Thursday said that the "fury" promise may not have gone far enough, and on Friday Trump said that North Korean dictator Kim Jong Un "will truly regret it and he will regret it fast" if he "does anything with respect to Guam, or American territory or an American ally." In a recording of Trump's call distributed by the Guam governor's office, Trump is heard saying "we are with you 1,000 percent. You are safe." Calvo responds, "I have never felt more safe or so confident with you at the helm" and thanked Trump. Guam, which has a population of around 162,000, has an Air Force base and six supersonic B-1 Lancer bombers are currently positioned there. The island is about 2,200 miles southeast of North Korea.